Speaking to spirits brings more intimacy to the equation of spiritual closeness, but just being around them has its side effects on the body. These effects can be positive or negative, long lasting or brief, clear or obscure. I do not know if my ability to communicate with spirits directly caused my illness, freakishly severe fibromyalgia, or if it keeps me alive by giving me hope that this pain will end when the time is right - and that this pain has meaning enough to sustain my bravery to face it. So many people with illness would benefit from seeing the Other Place, that Summery Place that holds so much! So beautiful. Next I will talk about suicide - a widely asked-for topic, but now - what happens if you are around spirits a lot? Firstly, there are many considerations. These are my observations and observations from trusted sources. Different people react differently to each event and spirit. Most importantly of course, as aforementioned, it depends on the spirit. I want to divide this article into three topics - Good, Bad, and Special. Let's get cookin'. These are spirits that do not want to hurt you, and would do everything they can to help or prevent harm. They would not dream of hurting you, the thought may cross their 'minds' if you anger them, but they will have infinite patience in the face of such feelings. 1. Heal you. It's not healing in the sense of a doctor healing a broken bone, stitching a wound, but in severe pain I've felt the large paw like hand of my grandfather on my back and the pain vanished until he had to tend to other things.. or perhaps he was drained. He doesn't like to talk about it. Yep, he's a spirit. Anyways, my ancestors and the friends I've made with spirits along the way (through readings, or happenstance meetings, even home cleansings, etc) can sometimes do this. It does, to my senses, feel like they are drained after. I can see them less clearly, sense their spirits less, and they tend to go away for a while. I really hope they don't experience the pain for themselves. This happens a lot, but since I am in moderate to severe pain every minute of my life - there are plenty of opportunities. I understand, however, that suffering is key to my personal spiritual development, this particular suffering, and so they cannot do it always. If you are suffering, remember that there is ALWAYS a reason. You are not suffering without benefit. It'll drive you nuts and fill you with hate and hopelessness sometimes - but when you see the Other Place.. you will see the worth. The healing can sometimes apply to very miraculous cases, such a pause in cancer spreading or even a slight remission. I have never known a full remission case personally, but I have heard of it. Rare stuff. Lowering blood pressure I've seen first hand many times. I sense them going into the blood and heart - but I am not sure what they do exactly or how they do it. Some people speculate but I find that hides the truth's face when you see it for real. Keeping the mind open helps you spot the Waldo of truth faster. Other healings I've seen but maybe one day I'll get into that detail - not today, I want to get into the other side effects. Summary tho - they can heal in amazing and confusing ways - and usually they go away after - fade. But they come back, don't worry - they're not destroying their spirits over this. Thank them and keep them in your thoughts - they don't HAVE to do it. They wanted to - or were told to. Scary stuff for the latter hmm? 2. Calm you. Spirits can sometimes instill a peace and euphoria onto us. I find this is very true of those humans that become angelic in the Other Place - they take on the mantle of divine helper (I don't know enough about that yet, but I ask about it a lot - I will write what I know about soon as I am getting a more fibro-friendly interface soon!) and make their afterlife a sort of social-worker based path. Wonderful things. When this happens, make sure to thank them, as you should with any helpful event. Usually this drains or makes them go away less than the healing aspect I spoke of. Summary - they tame the heart and mind to bring you to a place where you can think more clearly. 3. Direct you. Spirits have a really interesting way of manipulating situations so you see what can help you in whatever you are doing or wherever you are headed. They'll get a song in your head with a keyword that reminds you to turn off the oven or lock the door on a day that a disaster would have otherwise taken place. Not always a song, sometimes just a word. If you ever get a word stuck in your head - can't get it out - probably it holds some significance. Pay attention. They'll turn your attention by manifesting briefly enough to do so without freaking you out - to a place, person, or thing - perhaps a car that's going to run you over or a bus you're about to miss or a girl you've been meaning to ask out on a date. They can direct you in the way artists of all kinds are inspired - they can be Muses. This is a very auspicious ability and spirits often dedicate copious amounts of time and effort to help the artist achieve their full potential - or sometimes the spirit wants to write a poem and publish it online.. lol... then it'll put the words in your head somehow - and get you to publish it online! Some spirits can do this very easily, others are obviously exerting a lot of concentration and perhaps energy to do so. They can direct you in your scholastic path if you feel lost and unable to decide. They can help you in many decisions. My favorite thing to laugh at is when spirits play with electronics to get a message through. This direction can be very annoying, but usually it is well-intentioned and should be quickly interpreted and either obeyed - or at least considered. Don't piss off the spirits trying to help you, they will help you for your entire life if you let them. I've had my grandfather drain the battery in my Wii Remote when my hands are starting to hurt from playing (usually after only 10 minutes this happens, so I get frustrated and try to play thru.. bad idea as it'll just make things more difficult) and give me the stink eye. "Stop" doesn't need to be said, it can easily be inferred. Even if you can't see them, you can certainly see their messages. Good spirits can even give you bad side effects. This is important to remember. I have had spirits drain my energy to the point of spontaneous sleep (I've been tested for Narcolepsy, yes, and I don't have it) or to the point of painful fatigue that goes beyond the need for sleep. I have observed people go from chipper and bubbly to downright exhausted in the space of 10 minutes because of a nearby spirit. They usually don't mean it, but there are some spirits that just do this and have no control over it. If you find you are getting tired when you feel someone is watching you or someone is in the room with you but no living humans are with you - leave the room and ask the spirit to leave you be - at least for a while. Ask them to ask another spirit to do deeds for them in their place. You don't need to be able to communicate/see spirits to talk to them. They hear what you say most of the time. Repeat it a few times in the languages you know, and visualize it in your mind like a series of images. This is very important. -Headache, muscle tension, the need to go to the bathroom very urgently (strange, I know), and sometimes but very rarely - constipation. The latter two are products of the fear response. Sometimes the body is scared of spirits without the mind knowing. The body knows the deep secrets of the universe a lot better than our brainwashed/trained minds. Kids are great at seeing spirits because they have not yet been fully indoctrinated into our extremely narrow-minded cultures. Some cultures don't have this, of course. But we need to open our minds and allow the spirit world to help us. Then the fear response symptoms would be all but gone.. except when you get the really terrifying spirits. -A paranoid mind for a couple of days (your body is telling your brain - hey someone's watching you.. but your mind is unable to see it.. so paranoia manifests instead. -Dry mouth and dry eyes. This is strange, I don't know how or why, but I have experienced this myself, and have talked to a lot of people whom experience or have experienced them. One stated a theory that the spirits change the electrolyte balance in your body - but I need to research more in order to subscribe to this. The negative effects are the same as the negatives of "good" spirits, however there are added negatives. - High blood pressure for sustained amounts of time in people that haven't got BP problems. - The need for isolation - people make you mad for no reasons. Now these things don't mean you're being haunted by an evil spirit. Sometimes it's a medical problem and you really need to see a doctor. Don't be silly and get an exorcist because you feel hot all the time or want to kill your neighbor! 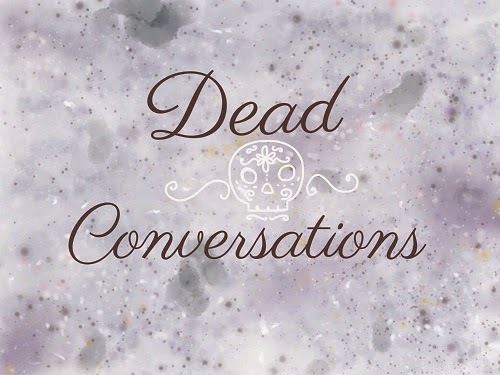 Your body will tell you when it's a spirit usually, but it's also important to contact a medium or even a friend who can stay at your place and tell you what they feel. If this goes on and on without explanation.. you will need help. You need to ask the spirit to leave, albeit with respect, and try your best to ignore what it does. This will usually cause the spirit to get bored of you and leave. Bullies in life are usually bullies in death. Now if it's serious issues like my patron who had his leg broken - the GTFU rule applies. Get the F%#$ Out. Move, get rid of objects you got around the time the haunting began. And mail me if you wish, tell me what's going on and I can advise you. I post my email here often but I need to hide it so spams don't mail me.. and hopefully it filters too. I'll let you read the first parts I wrote now, and check the post a bit later for the special cases - it'll appear here instead of these words. I've just been so sick lately and ppl have been writing to me asking if I'm alive. Yup :) Thanks for your concern!